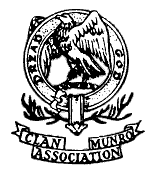 The Clan Munro (Association), founded in 1937 on the initiative of the late Captain Donald John Munro, R.N., seeks to maintain the best of the old traditions as well as a link between Munros in Scotland and those who have spread far beyond their old homeland; members have offered each other a friendly welcome both at home and overseas. Clan gatherings are held in the Munro country and elsewhere, and members are kept in touch by the publication of newsletters and the Clan Munro Magazine. Funds are held for educational, benevolent, heritage and other purposes, and the Association's affairs are administered by an elected Council with Hector William Munro of Foulis as President and Chief. With the full support of the Council, branches have been established in the United States of America, New Zealand, France, Canada and Australia. The following is the updated constitution in PDF format. You will require Adobe Acrobat (free download) to read the documents. necessary to make minor changes in order to comply with the new rules.